To fully understand the phenomenon of massive open online courses (MOOCs), it is important to identify and map trends and patterns in research on MOOCs. This study does so by reviewing 362 empirical articles published in peer-reviewed journals from 2008 to 2015. For the purpose of this study, content analysis and discourse analysis were employed to analyze the articles. Accordingly, the trend line showing the number of articles per year indicates that the extent of research on MOOCs is likely to increase in the coming years. In terms of research areas, the findings reveal an imbalance and three research areas out of fifteen constitute more than half of all research on MOOCs. With regard to types of MOOCs, related literature is dominated by research on xMOOCs. The discourse in MOOC articles takes a mostly neutral standpoint, articles with a positive outlook outweigh those that are negative, and there is an increase in a more critical discourse. Theoretical or conceptual studies are preferred by researchers, although MOOC research generally does not benefit from being viewed through theoretical or conceptual lenses. Bozkurt, A., Akgn-zbek, E. & Zawacki-Richter, O. (2017). Trends and Patterns in Massive Open Online Courses: Review and Content Analysis of Research on MOOCs (2008-2015). The International Review of Research in Open and Distributed Learning, 18 (5),. Athabasca University Press. Retrieved April 24, 2019 from https://www.learntechlib.org/p/180438/. Daniel, J. (2012). Making sense of MOOCs: Musings in a maze of myth, paradox and possibility. Journal of Interactive Media in Education, 2012(3), Art. 18. Liyanagunawardena, T.R., Adams, A.A., & Williams, S.A. (2013). MOOCs: A systematic study of the published literature 2008-2012. 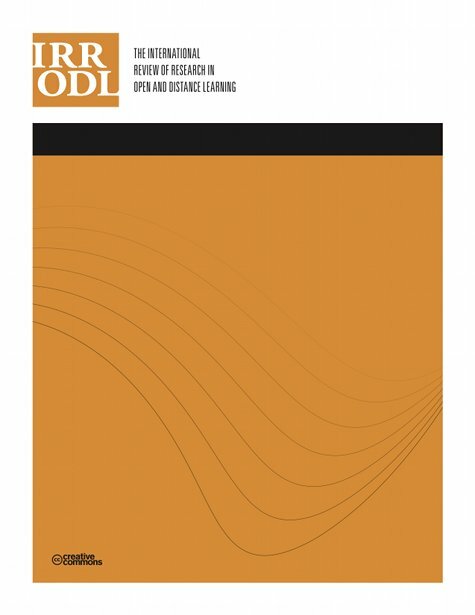 The International Review of Research in Open and Distributed Learning, 14(3), 202–227. McAuley, A., Stewart, B., Siemens, G., & Cormier, D. (2010). Massive open online courses: Digital ways of knowing and learning, The MOOC model for digital practice. Retrieved from http://www.elearnspace.org/Articles/MOOC_Final.pdf Siemens, G. (2005). Connectivism: A learning theory for the digital age. International Journal of Instructional Technology and Distance Learning, 2(1), 3–10. Kop, R. (2011). The challenges to connectivist learning on open online networks: Learning experiences during a massive open online course. International Review of Research in Open and Distributed Learning, 12(3), 19-38. Rodriguez, C.O. (2012). MOOCs and the AI-Stanford like courses: Two successful and distinct course formats for massive open online courses. European Journal of Open, Distance and ELearning, 15(2). Kop, R., Fournier, H., & Mak, J.S.F. (2011). A pedagogy of abundance or a pedagogy to support human beings? Participant support on massive open online courses. International Review of Research in Open and Distributed Learning, 12(7), 74–93. Mackness, J., Mak, S.F.J., & Williams, R. (2010). The ideals and reality of participating in a MOOC. In L. Dirckinck-Holmfeld, V. Hodgson, C. Jones, M. De Laat, D. McConnell, & T. Ryberg (Eds. ), Proceedings of the 7th International Conference on Networked Learning 2010 (pp. 266-274). Kizilcec, R.F., Piech, C., & Schneider, E. (2013). Deconstructing disengagement: analyzing learner subpopulations in massive open online courses. In Proc. 3rd Int. Conf. On Learning Analytics and Knowledge (pp. 170-179). ACM. Siemens, G. (2012, July 25). MOOCs are really a platform [Blog post]. ELearnspace. Retrieved from http://www.elearnspace.org/blog/2012/07/25/moocs-are-really-a-platform/ Fini, A. (2009). The technological dimension of a massive open online course: The case of the CCK08 course tools. The International Review of Research in Open and Distributed Learning, 10(5). DeWaard, I., Abajian, S., Gallagher, M.S., Hogue, R., Keskin, N., Koutropoulos, A., & Rodriguez, O.C. (2011). Using mLearning and MOOCs to understand chaos, emergence, and complexity in education. The International Review of Research in Open and Distributed Learning, 12(7), 94-115. Jordan, K. (2014). Initial trends in enrolment and completion of massive open online courses. The International Review of Research in Open and Distance Learning, 15(1), 133-160. Milligan, C, Littlejohn, A, & Margaryan, A. (2013). Patterns of engagement in connectivist MOOCs. Journal of Online Learning and Teaching, 9(2), 149–159. University of Edinburgh (2013). MOOCs@ Edinburgh 2013 – Report #1. Retrieved from http://www.shef.ac.uk/polopoly_fs/1.308890!/file/Edinburgh_MOOCs_Report_2013_1.pdf Koller, D., Ng, A., Do, C., & Chen, Z. (2013). Retention and Intention in Massive Open Online Courses. EDUCAUSE Review, May/June 2, 62–63. Kop, R., & Hill, A. (2008). Connectivism: Learning theory of the future or vestige of the past? International Review of Research in Open and Distributed Learning, 9(3). Kolowich, S. (2013). The professors who make the MOOCs. Chronicle of Higher Education, 59(28), A20–A23. Allen, I.E., & Seaman, J. (2013). Changing course: Ten years of tracking online education in the United States. Babson Park, MA: Babson Survey Research Group and Quahog Research Group. Retrieved from http://www.onlinelearningsurvey.com/reports/changingcourse.pdf Clow, D. (2013). MOOCs and the funnel of participation. In Proceedings of the Third International Conference on Learning Analytics and Knowledge (P. 185–189). New York, NY, USA: ACM. Cormier, D. & Siemens, G. (2010). The Open Course: Through the Open Door--Open Courses as Research, Learning, and Engagement. EDUCAUSE Review, 45(4), 30-39. DeBoer, J., Ho, A.D., Stump, G.S., & Breslow, L. (2014). Changing ‘‘course’’: Reconceptualizing educational variables for massive open online courses. Educational Researcher, 43(2), 74–84. Koutropoulos, A., Gallagher, M.S., Abajian, S.C., de Waard, I., Hogue, R.J., Keskin, N.O., & Rodriguez, C.O. (2012). Emotive vocabulary in MOOCs: Context& Participant retention. European Journal of Open, Distance and E-Learning, 15(1). Friedman, T. (2013, January 26). Revolution hits the university. New York Times. Retrieved from http://www.nytimes.com/2013/01/27/opinion/sunday/friedman-revolutionhits-theuniversities.html?pagewanted=1 & _r=0). Allen, I.E., & Seaman, J. (2014). Grade change: Tracking online education in the United States. Babson Survey Research Group and Quahog Research Group, LLC. Retrieved from http://www.onlinelearningsurvey.com/reports/gradechange.pdf Bruff, D.O., Fisher, D.H., McEwen, K.E., & Smith, B.E. (2013). Wrapping a MOOC: Student perceptions of an experiment in blended learning. Journal of Online Learning and Teaching, 9(2), 187–199. Conole, G. (2013). MOOCs as disruptive technologies: strategies for enhancing the learner experience and quality of MOOCs. RED. Revista de Educación a Distancia, 39, 1–17. Glance, D.G., Forsey, M. & Riley, M. (2013). The pedagogical foundations of massive open online courses. First Monday, 18, 5. Rodriguez, C.O. (2013). The concept of openness behind c and x-MOOCs (Massive Open Online Courses). Open Praxis, 5(1), 67-73. Clarà, M, & Barberà, E. (2013). Learning online: massive open online courses (MOOCs), connectivism, and cultural psychology. Distance Education, 34(1), 129–136. Martin, F.G. (2012). Will massive open online courses change how we teach? Communications of the ACM, 55(8), 26–28. Hew, K.F. & Cheung, W.S. (2014). Students' and instructors' use of massive open online courses (MOOCs): Motivations and challenges. Educational Research Review, 12, 45-58. Hill, P. (2012). Online Educational Delivery Models: A Descriptive View. EDUCAUSE Review, 47(6): 84-86. Shirky, C. (2012, November 12). Napster, Udacity, and the academy [Blog post]. Retrieved from http://www.shirky.com/ Weblog/2012/11/napster-udacity-and-theacademy/. Tschofen, C., & Mackness, J. (2012). Connectivism and dimensions of individual experience. International Review of Research in Open and Distributed Learning, 13(1), 124– 143. Dellarocas, C., & Van Alstyne, M. (2013). Money models for MOOCs. Communications of the ACM, 56(8), 25–28. Means, B., Toyama, Y., Murphy, R., Bakia, M., & Jones, K. (2010). Evaluation of evidence-based practices in online learning: A meta-analysis and review of online learning studies. Washington, DC: U.S. Department of Education, Office of Planning, Evaluation, and Policy Development. Retrieved from https://www2.ed.gov/rschstat/eval/tech/evidence-based-practices/finalreport.pdf Bali, M. (2014). MOOC pedagogy: Gleaning good practice from existing MOOCs. Journal of Online Learning and Teaching, 10(1), 44-56. Garrison, D.R., Anderson, T., & Archer, W. (1999). Critical inquiry in a text-based environment: Computer conferencing in higher education. The Internet and Higher Education, 2(2-3): 87-105. Mackness, J., Waite, M., Roberts, G. & Lovegrove, E. (2013). Learning in a small, task-oriented, connectivist MOOC: pedagogical issues and implications for higher education. International Review of Research in Open and Distributed Learning, 14(4), 140–159. Waite, M., Mackness, J., Roberts, G. & Lovegrove, E. (2013). Liminal participants and skilled orienteers: learner participation in a MOOC for new lecturers. Journal of Online Learning and Teaching, 9(2), 200– 215.